Angry Birds Rio dominates the App Store with a console sized launch. After checking the top ten iPhone and iPad games this morning, one thing is abundantly clear: this App Store's for the birds. Rovio Mobile's newest creation, Angry Birds Rio, quickly became the number one paid App in less than 24 hours, shattering the misconception that publishers cannot use Apple's platform as a vehicle to create a superstar launch. "The quick ascension of Angry Birds Rio shows that mobile devices are just as capable of building strong brands and franchises as consoles," said Sourcebits' Brad Hilderbrand. "Just as Mario or Master Chief are considered companions to their respective consoles, Angry Birds is quickly becoming the mascot of mobile devices." Piotr Babieno, from iFun4all, agrees. "The popular belief is that you'll have a much higher possibility of success on consoles, but I can't think of any console games reaching the massive amount of popular culture exposure that iOS games, such as Angry Birds, achieved on mobile devices. In this case, Rovio opened a completely new door for the entire games industry." Of course, this didn't happen by accident. The Angry Birds series, which includes the original and Seasons, have comfortably occupied one of the top spots for months. To be fair, all Rovio had to do was announce the game and wait for slingshot happy fans to do the rest. That said, the company did significantly more, partnering with 20th Century Fox to create a new Angry Birds fused with the film studio's upcoming animated movie, Rio, which revolves around a rare species of macaw that winds up in Rio de Janeiro. 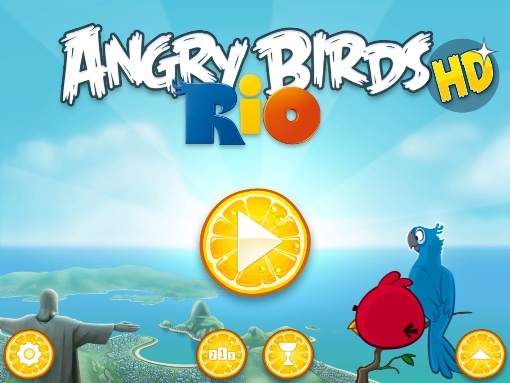 In fact, both parties teamed to feature Angry Birds in Rio's Super Bowl commercial, where interested gamers slowed down the footage to locate a code that, when redeemed, gave them access to new levels in the game. From that point on, Angry Birds Rio was almost impossible to avoid. In addition to both story and gameplay trailers, Rovio also posted ads across the Internet. The result speaks for itself. Although it'll take some time before the company releases official sales figures, the iPhone version of Angry Birds Rio already has 510 five-star reviews (and counting) out of 553 total critiques. 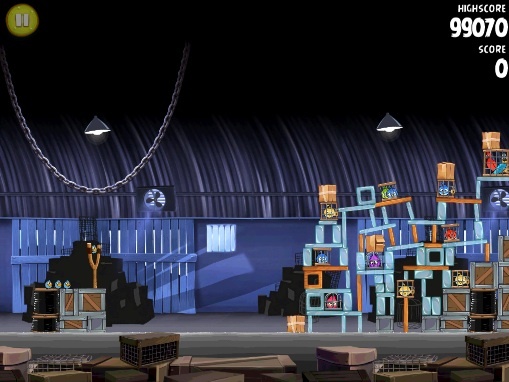 Chalk that up to Rovio's decision to preserve the popular Angry Birds formula, where users catapult birds into different structures, instead of allowing the film to overwhelm the experience, a trap that most movie-based games fall into. Said Hilderbrand, "Halo revolutionized console-based multiplayer when it launched, and from that point Bungie just continued to tweak the formula. Angry Birds gave rise to the physics-based puzzle game on mobile platforms, and now the developers are simply perfecting the genre they helped define." With this in mind, some feel that Angry Birds transcended gaming. "A few years ago, the thing you would talk to your friends about was the latest episode of a popular TV show," said Babieno. "Now, people are talking to their friends about what high scores they were able to get. From a marketing perspective, this IP is no longer just a game. It is a part of the collective consciousness." On that note, Angry Birds 2 could be the biggest event in mobile game history.